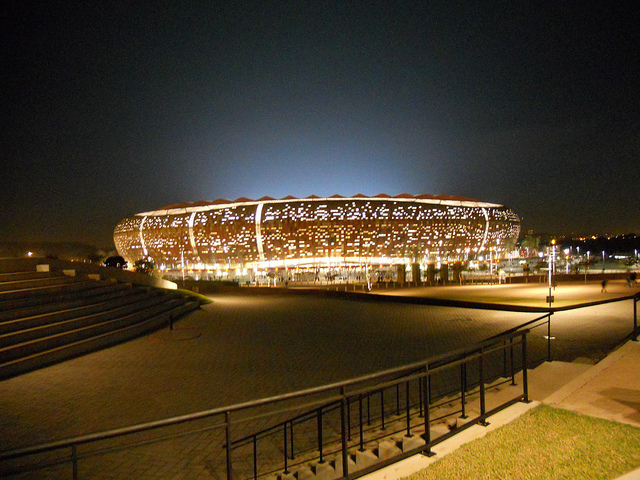 German economics researchers used satellite photographs taken at night to calculate the economic impact of the large-scale building of infrastructure ahead of the 2010 FIFA World Cup in South Africa. What they saw made them realise that it makes more long-term economic sense to invest in transport than in building large event venues. The research team consisted of Gregor Pfeifer, Fabian Wahl and Martyna Marczak of the University of Hohenheim in Germany. They will present their findings on 23 June at the International Association for Applied Econometrics Conference in Italy. They found the strongest increase in economic activity for rather small World Cup venues or for treatments in less populous areas. Their results have important political implications for development policies and the future organisation of mega (sports) events. These suggest that such events can distinctly benefit the affected regions if public investments are directed on improving the ‘right’ infrastructure. Monday Menu: What happens when athletes have to quit?